A sheriff's deputy shot his teenage daughter after mistaking her for an intruder, and then crashed his car trying to get her to a hospital, authorities said. Police say Loudoun County Sheriff's Deputy Easton McDonald was getting ready for work at his Frederick County, Virginia home around 3:30 a.m. Tuesday when he heard his alarm sound. He heard a banging sound coming from inside the garage, grabbed a weapon and fired it when he saw a figure approaching him, according to a report from WHAG-TV. Police say it turned out to be his 16-year-old daughter, who had sneaked out the night before and had been in the process of sneaking back inside. 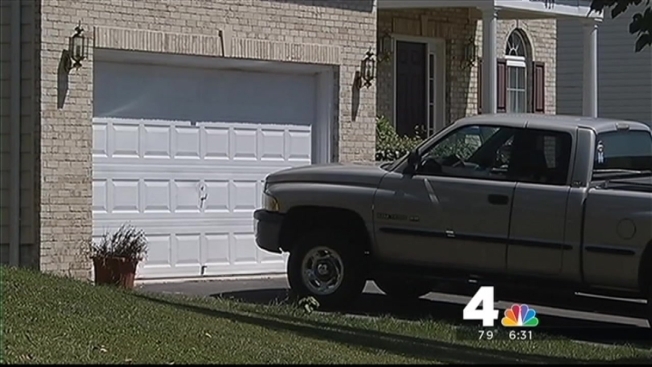 "He figured someone had broken into the garage, and his family was upstairs asleep," said Capt. Donnie Lang of the Frederick County Sheriff's Office. Armed with his privately owned gun -- not his service weapon -- McDonald fired, Lang said. "Then he hears her voice and recognizes that it's his daughter," he said. McDonald then called 911 and advised he was taking his daughter to the hospital himself. But on the way, McDonald lost control of his car and hit a barricade, damaging the front of the vehicle, but causing no additional injuries to his daughter or to himself, Lang said. McDonald again called 911, and an ambulance responded. His daughter was hospitalized in stable condition. A call to the McDonald home Friday went to a recording, which said the number had been temporarily disconnected. Kraig Troxell, spokesperson for the Loudoun sheriff's office, confirmed that McDonald was involved in the shooting but declined further comment. McDonald, a 13-year veteran of the sheriff's office, was placed on administrative leave pending an internal investigation.